This advertisement in the Lima Weekly Gazette undoubtedly caught the attention of young Samuel Bassitt, a boy of 15 who lived on a farm in Bath Township, Allen County, near Lima, Ohio. Despite the reservations of his parents, Samuel volunteered and on 12 Feb 1864 he was mustered into the 27th Ohio Volunteer Infantry (O.V.I.) The following series of letters were sent home by Sam to various family members, who carefully preserved them. They tell the story of his initial excitement and eventual (unsuccessful) attempt to get a discharge, followed by his resigned participation in Sherman's March to the Sea and skirmishes in the swamps of the Carolinas. There was another letter kept with these letters by the family. It was from Lewis Alfred Edgecomb, Samuel's cousin and brother to Loretta Edgecomb and was written to his grandparents, Samuel and Elsie Bassitt. Alfred was killed 21 July 1864 in Atlanta, Georgia. 1. What statements in Samuel's letters illustrate his attitude about being in the army? How does his attitude change as time passes? What experiences do you think influenced his attitude? 2. With reference to the 29 March 1865 letter, why do you think that Sherman's soldiers had such a violent response in the towns of South Carolina? Compare their behavior to that of soldiers in modern wars. Do you think that it was justified? 3. There are several examples of the Lima Weekly Gazette included with the letters (20 Jun 1864, 6 Sep 1864, 16 Oct 1864, 23 Dec 1864). How was the reporting in this newspaper influenced by biases of the 1860's and the prevailing political attitudes of the Lima community? Compare this reporting with coverage of the Iraq war. Do you think war reporting is more or less objective today than it was in the 1860's? 4. Why do you think Sam addressed his letter of 6 Apr 1865 to his grandparents rather than his parents? Do you think his parents read the letter? How do you think his parents felt when the family got the letter? 5. The tone of the 12 Sep 1865 letter is quite different from the earlier letters. In what ways is it different? What do you think caused these changes? Many of these letters were donated to the Allen County Museum by Walter Flager where they were transcribed in their collection of Civil War letters. The originals are preserved in the museum archives. The rest where given to DeWitt Bassett by Walter. 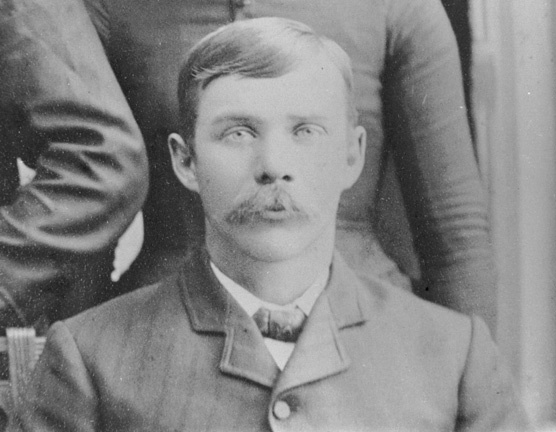 After his death they were found in his home and came into the possession of Richard W. Bassett, Samuel's grandson. They were later transcribed by Lois (Price) Bassett. There is at least one more letter that is not included here. This letter was shown to Steve Baskauf by Mary Flager in about 1978, but it could not be copied at the time. It's current whereabouts are not known.